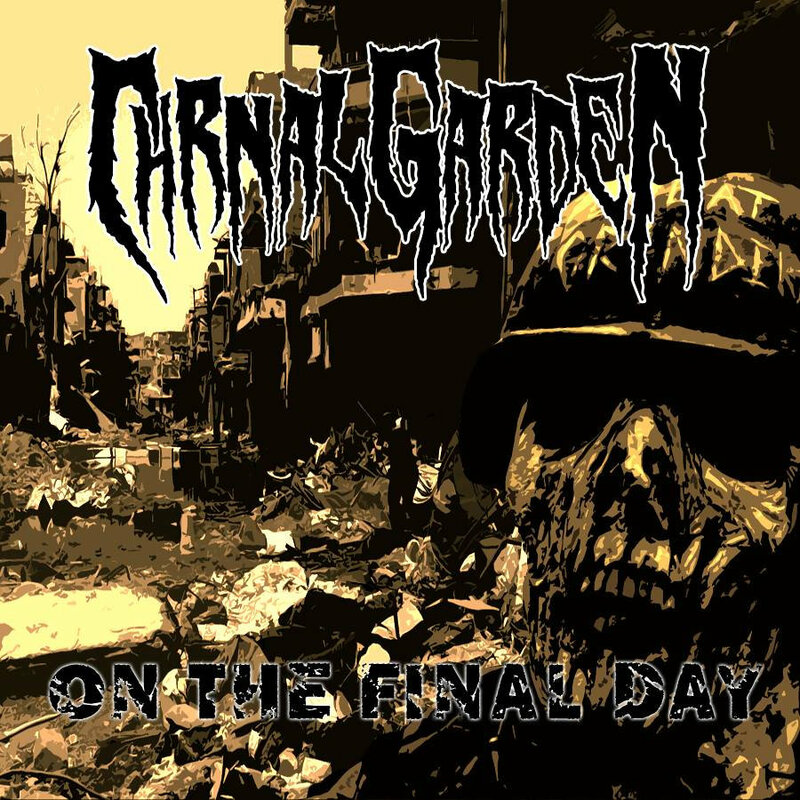 Carnal Garden are a Greek death metal project put together by members of Pigskinner and Abyssus. Their debut EP, ‘On the Final Day’ was released digitally just before Christmas, and they are currently looking for a label to release it physically. Somebody snap this up! ‘Through Darkness and Dust’ has the kind of slow burn intro that doesn’t quite prepare you for what is coming. The dense guitar tone that kicks in, with a malevolent thickness to it, has an almost eastern tone to it. The metal is raw, unpolished, but you can feel the filthy sludgey undercurrent to it that reeks of untapped potential. There’s a dash of Coffins, a bit of Autopsy, even the chainsaw riffing of the finest Swedish death. While Abyssus plys a more Obituary-esque brand of death, Carnal Garden is more sludgey than that. Not that there isn’t more than a hint of ‘Cause of Death’ about the grinding ‘World Infected’. 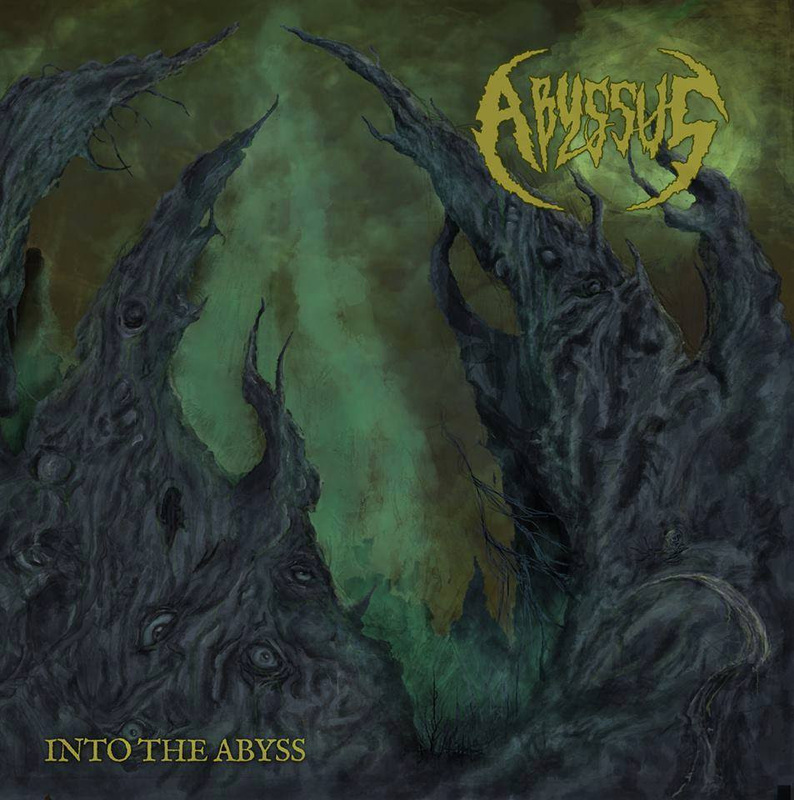 Greek death metallers Abyssus have dropped their debut record ‘Into the Abyss’ and it is a fine slab of Floridian death metal worship. 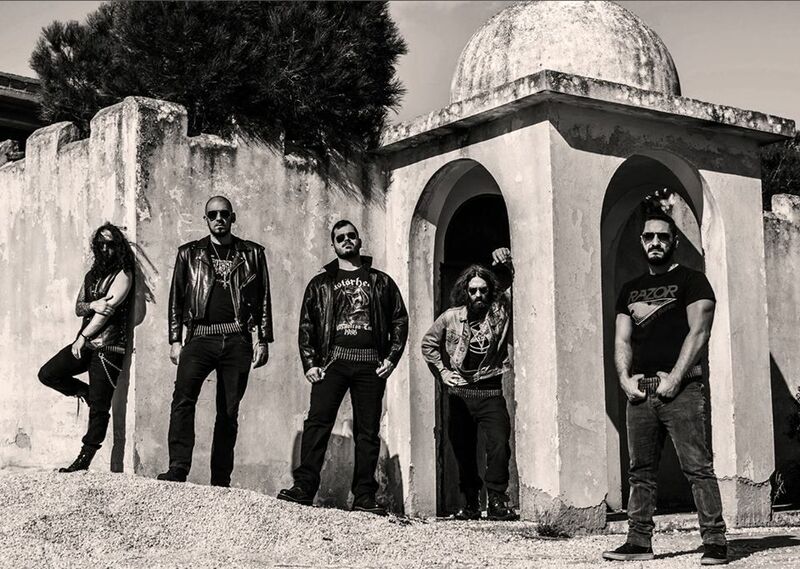 I spoke with vocalist Kostas Analytis about death metal, history and economic crises. Tell us a little bit about how Abyssus got started? The band formed back in 2011 by me as an one-man band with guests and session musicians. After the release of “MONARCH TO THE KINGDOM OF THE DEAD” debut E.P., Panos “s.k.” Gkourmpaliotis (guitars) joined the band. It was about time for the group to have a solid and full-time line-up. Through many members arrivals and departures the band played some live shows and recorded few split releases (“NO LIFE IN THE COFFIN” with legendary NOCTURNAL VOMIT in 2013, “FROM THE ABYSS RAISED THE MORBID” with veterans MORBIDER in 2014 and “OBSCURE” with SLAKTGRAV in 2014). The songs included in the split with MORBIDER were remixed and re-mastered to be released as a tape – E.P. called “SUMMON THE DEAD”. At last Kostas Ragiadakos (bass) joined the band and all together entered the studio for releasing “INTO THE ABYSS”. How do you see Abyssus as part of the Greek scene? It’s always seemed like more of an esoteric set up, what with Septicflesh and Rotting Christ, yet your death metal seems relatively straight forward? Actually, the underground scene here in Greece is on fire, in all the genres of metal! Too many releases, too many great albums! Well, bands like SEPTIC FLESH and ROTTING CHRIST has opened the doors for Greek metal as they became succesful and popular and we should thank them for that, all the bands here in Greece. I don’t really like the Septicflesh style and as for Rotting Christ, they’re a band from which I really adore some old albums! So where do Abyssus’s main influences come? I hear a lot of Obituary in your sound. I will say that maybe its my voice that reminds more Van Drunen, Tardy and the singer of Viogression, the more sludging death metal vocals. Of course Obituary is a great influence but also Death, Asphyx, Bolt Thrower, Benediction, Autopsy, all those legendary bands that born and serve the genre with respect and passion! I see the stream of great releases coming out one after another and I honestly like it as the classic death metal sound was about extinct. I feel sorry but I don’t really enjoy the brutal death metal things, slam, guttural vocals… I respect them but its not death metal to my ears, not as death metal must be played! Does the band have a concept behind the artwork or lyrics? For the artwork it is said and agreed in the band that it must always been in the death metal way, painted inspired and dedicated to the gold death metal age 1988-1995! We use to cooperate with some great artists such as Cesar Valladares who is responsible for many new releases in death metal, Costin Chioreanu who works with bands such as Grave, At the Gates and many more and of course Aggeliki Koliaki who is always there for us offering her great art! For the lyrics now, as all the lyrics is my work, is not a main concept but I won’t write something for zombies and the undead. Such themes inspire me with other bands I am in, such as Cryptic Realms. In Abyssus I write for war, as a watcher of the pain and terror it causes, for social oppression, for the end of the world but also for historical events or personalities. so in this album “Enthrone the Insane” was inspired by the Roman emperor Nero (37-68 A.C.) “Across the Fields of Death” was inspired by the Charge of the Light Brigade during the Battle of Balaclava (Crimean War) between France and Great Britain against Russia (October 25th, 1854) “Visions of Eternal Pain” was inspired by the paranoid bombing of Piraeus from the allies (January 11th, 1944). Is history an important influence then? I mean Greece has obviously one of the worlds most ancient cultures, is that part and parcel of what Abyssus is about? Although I really love reading Greek history, I have to admit that I wouldn’t like to be based on such concept except from special occasions. Its very easy to be judged for ethnicism and such things and believe me we are far out of such things. Yes I understand your question, like the Gothenburg scene with all those melodic “death metal” bands. Well, I don’t believe such thing occurs here in Greece. Of course for black metal Rotting Christ was more than just an influence but is the only example. In the Greek death metal scene that is not happening, there are too many bands with different sounds, listen to our friends Necrorgasm, Alter Self, Blessed by Perversion, The Psalm… totally different groups in every sector, production, attitude etc. That’s good, sounds like the scene is very healthy. Have the economic problems in Greece recently made it hard for bands? Do less people come to live shows, buy records etc? The economic crisis is binding our life in every single moment of our daily race and day by day the things became worse. Unemployment, capital controls…total decline. That scenery has affected the scene also, difficult to record a new release, difficult to organize or go to live shows etc. But we are still trying to do our best and maybe due to those problems the scene will become more strong and united. Do a lot of bigger metal bands come to Greece often? Is there the opportunities for support slots, tours etc? Well the cost for a band when its on European tour to come to Greece then go for example to Switzerland, its much bigger due to the position of Greece in the world map. and for Greek bands to go abroad, that’s why Suicidal Angels moved to Germany permanently. Well, there is always opportunities but most of all its P.R., I hope we soon have the chance as ABYSSUS to open for a big band. with my other band Soulskinner last Wednesday, we were the opening act for GRAVE/MALEVOLENT CREATION, Panos, the guitarist in the past has opened for MAYHEM with an old band which was involved in. What’s the next stage of Abyssus? How has the feedback been on Into the Abyss? Are there more records or EPs in the pipeline? Well, the basic is to have as much income we can from INTO THE ABYSS for getting as fast as we can in the studio for the next album! The feedback is great, from fans and from zines and our label is very pleased for the release. Very soon, the album will be released on tape and a split-tape with SLAUGHTERDAY (gr) will be released too, before 2016. With the new year, a compilation called “ONCE ENTOMBED” will be released and will contain everything we have ever recorded until ‘INTO THE ABYSS”, released and unreleased. Also a split tape with BLESSED BY PERVESION and around March a four way split surprise on 7”! So are tapes the new fashion or is there good reason to use them? I really love them! I was raised up with tape trading and I don’t really appreciate the download things… of course YouTube and Bandcamp help us to get in touch with new bands but these must be just a tool. I buy albums as much as I can in any form and special underground things. I don’t know if it is fashion but we do it with full love and respect to this form and for the newcomers to learn. Is there anything else you want to add for people who maybe don’t know you or for your supporters? I just have to invite people a trip in death metal with “Into the Abyss”, give the album the opportunity and I am sure they won’t regret it. For the supporters that we will do everything to play live shows into Greece and if it could be possible to travel abroad! We are already composing new stuff and there will be no one left unhappy! Memento Mori has sucked another quality death metal band from the darkness this year, following on from so many good releases in the past 12 months. This time they have unearthed Abyssus from Greece, whose debut full length takes cues from Floridian legends. The most obvious reference point here is Obituary, with the rabid title track being a song that feels like a missing track from ‘Slowly We Rot’. 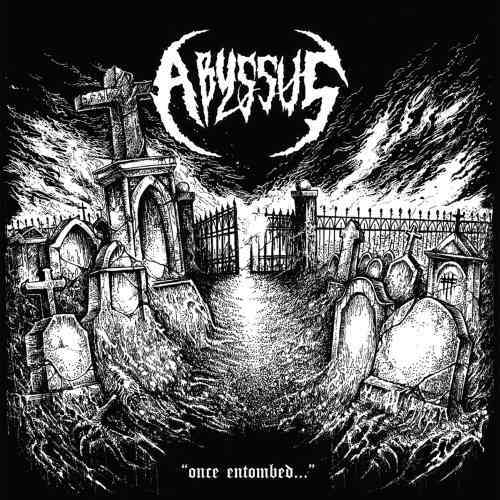 Hefty doses of classic Florida death metal like Deicide or the aforementioned Obituary is always a good thing, and Abyssus have it in spades. Their death metal is quite thrashy in its execution, and feels very traditional in the wake of some of the more “old school” stuff I’ve heard recently. ‘Across the Fields of Death’ is rapid fire riffing, while the gloomy start to ‘Echoes of Desolation’ is a throwback to eerie 90s death metal, complete with howling solo. The ferocity of tracks like ‘Those of the Unholy’ and particularly the punchy ‘Revenge’ is infectious; both insisting on a furious headbanging session which doesn’t stop until you hit the final track. ‘Visions of Eternal Pain’ showcases Abyssus at both their fastest and their heaviest moments. The riffs are never too technical, nor are is the drumming overwhelming in the face of the other instrumentation. The balance of the songs is totally spot on. ‘Into the Abyss’ is an album for all those people who bemoan modern death metal to be either tech death chaos or sludgy Autopsy worship. This is death metal for people who remember when it was just extreme thrash. Abyssus reference all the greats, from early Death and Massacre to Obituary with Tardy-esque vocalist Kostas Analytis. ‘Into the Abyss’ is a refreshingly different and thoroughly kickass death metal record for both the early 90s and today. I love it!